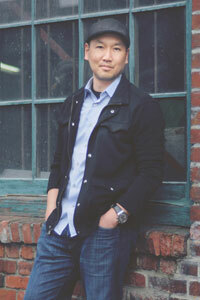 Seattle-based Creative Media Alliance is a full-service advertising and marketing agency. We pride ourselves on technological savvy and exceptional results in today’s market, but we know that our business is a human process at heart and we think you’ll enjoy working with us. We believe in communication. After all, the better we communicate, the more we understand, the better our relationship will be, and the better your results will be. Our credo reflects our belief that every client should be treated with respect, no matter the size of the project or budget. We embrace open communication and commit ourselves to the highest levels of customer service. The keystone of our business is people, from our core CMA team, to our extended alliance of business partners, to all of our valued clients. This isn’t just marketing speak. Ask any of our happy clients and they’ll tell you… when we say we’re all about building relationships in the process of doing great work, we mean it. 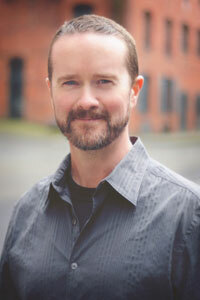 Ryan brings decades of experience and a hands-on approach to design, development and branding projects. He has always chosen to lead his teams by example, blending the roles of principal, designer and client advocate. As a principal and co-founder of Creative Media Alliance, the past 15 years have allowed Ryan to develop a strong approach to design and brand storytelling through digital marketing experiences, print collateral materials and advertisements. Ryan strives to work with clients on integrated marketing solutions that evolve their brand messaging, vision and identity. This spans across internal work with groups of writers, designers and search and media experts to develop a one-team approach to design processes and concepts. As a third-generation Seattle native, Ryan enjoys all two of our seasons and makes the most of each one, whether it be snowboarding in the Cascades or swimming in the Puget Sound. Ahmed is CMA’s expert when it comes to search engine optimization (SEO), keyword analysis and pay-per-click (PPC) advertising. He deeply understands search engine algorithms and how they can bring more traffic to your website. Ahmed is a self-proclaimed search marketing ninja and we’re not arguing! Kim has 15 years of film and video experience, along with being the Co-Founder of Usnaps.com. She is committed to preserving the integrity, voice and vision of projects, especially those that build a better community. An avid snowboarder, Kim enjoys shredding the local mountains with her two sons. Mindy is CMA’s media maven, specializing in purchasing advertising and marketing opportunities for our clients. A Washington native, she has developed media campaigns for clients ranging from small retail marketing to national branding. Her unique and successful campaigns stand out among the top Seattle marketing agencies. Ray directs diverse projects, including corporate, industrial, non-profit and online video production. He also shoots large art installations and documentary films. He is a confident international traveler with a ready passport, a flexible nature and a love of new experiences. At home, Ray spends time with his wife and daughter.